Guess what? 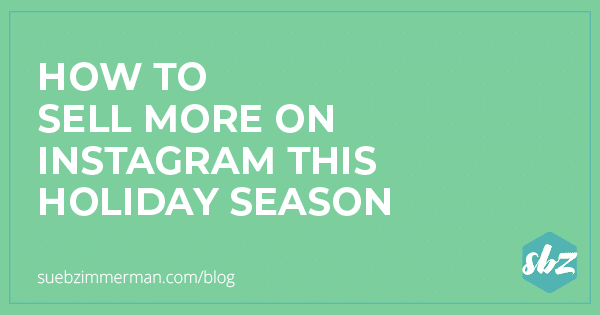 If you sell products or services and want to use Instagram to help with big holiday sales, the time to start planning is now. 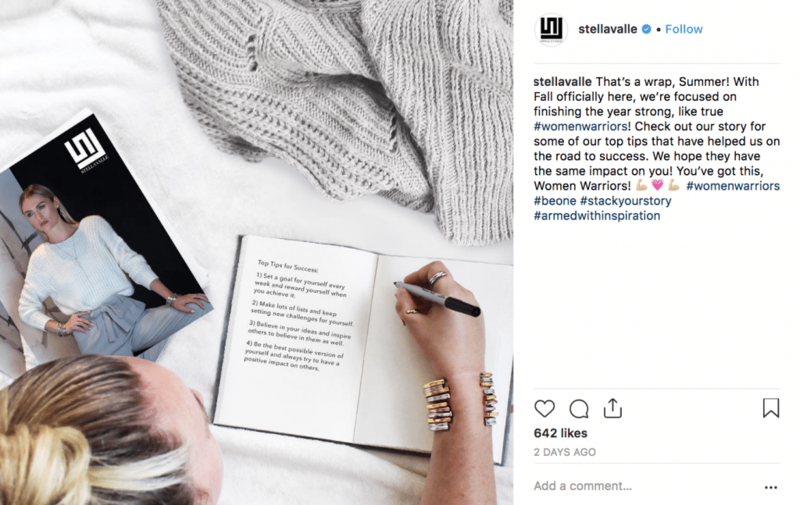 Not only are we seeing more companies sharing their holiday sales on Instagram already, but we are also seeing these influencers come up with new and interesting strategies to help overcome shoppers fatigue. If you’re ready to set yourself up for success for the busiest shopping time of year, I’ve got you covered. How do you prepare for the holiday season sales? But before we dive into the content you’ll need to create, don’t forget about your most valuable asset: your email list. With an up-to-date email list, you can easily connect with your clients and keep them in the loop on your latest sales and exclusive content, both of which are essential during the holiday rush. Once you’ve gotten a handle on your email list, it’s time to dive into content creation. Here are the five steps you need to create a smooth holiday campaign from start to finish. While it might seem like a big time commitment, setting aside time to plan all of your collateral will save you a ton of effort later. 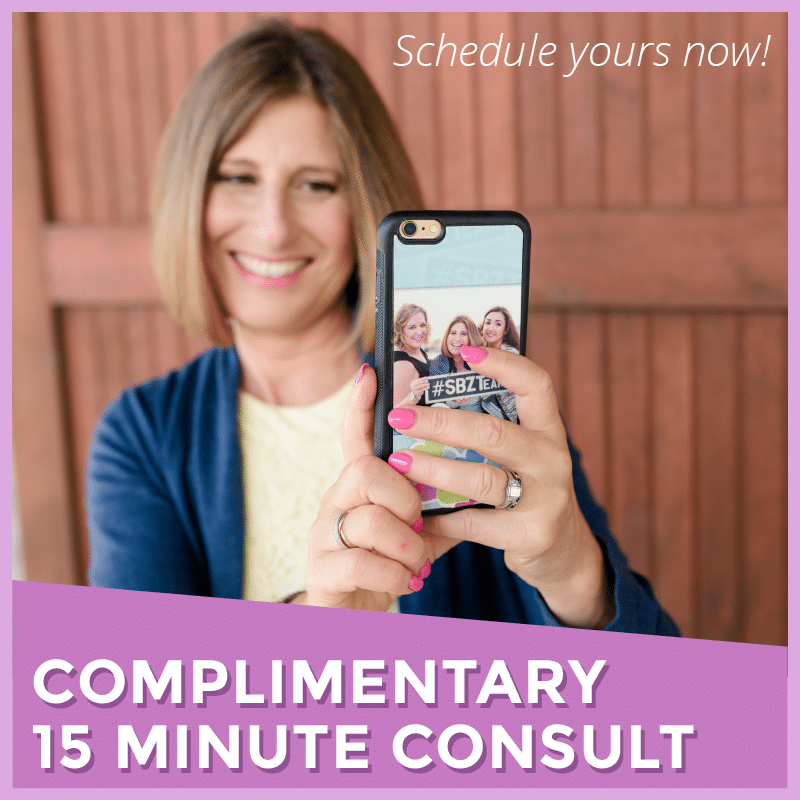 You’re also more likely to stick to your deadline if you have a confirmed photo shoot day in your calendar. Trust me, the day-long shoot now will save you a lot of time during the holidays. One of the hardest things about planning a longer visual campaign, especially one that runs during the holiday season, is knowing what kind of photos to take. I suggest making sure you have content for your entire campaign, including your pre-sale, sale and post-sale content. Think about the visual story you want your Instagram content to tell. When you plan all of your content at once, you also set yourself up to have a more consistent visual theme. You can make the most of your time by gathering all the props and creative visuals you need. Need holiday and winter-themed background ideas? 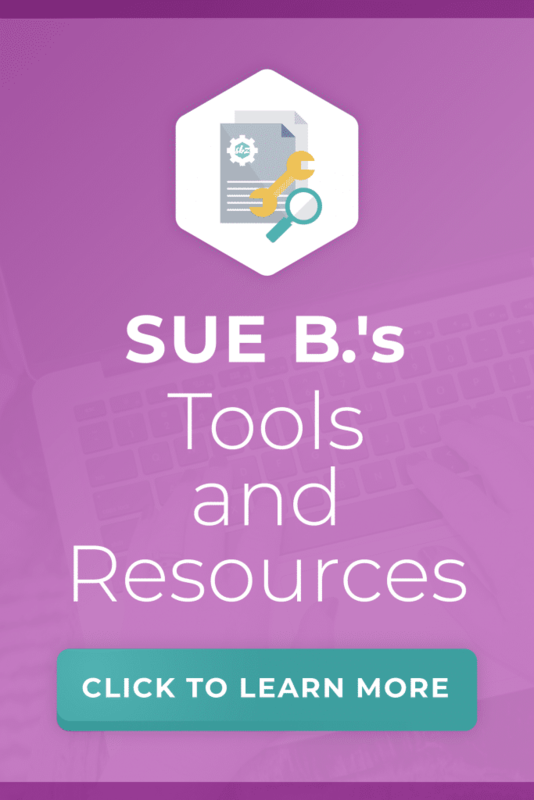 I’ve got you covered with this blog post. Pinterest is more than a platform to share your favorite crafts and inspirational quotes. If you and your team are working collaboratively on a visual campaign, it can also be an invaluable tool for brainstorming. Whether it’s color schemes or content inspiration, put it all together on a private Pinterest board. Not only does this keep your team to share their unique perspectives, but it’s easy to instantly brainstorm – no need for a long chain of emails or IMs. Once your team has a solid idea of the photos you’ll need, it’s time to consider the next piece of important content: graphics. Will you need to reach out to a graphic designer? Do it now. Graphic designers are often swamped during the holiday season, and you’re more likely to find time on their schedules if you reach out a few months in advance. Whether you need illustrative graphics or photo edits, make sure you have a scope of work prepared before you reach out to your preferred designer. This will allow the graphic designer enough time to finish the project, and you won’t feel crunched to get your visuals back at the last minute. Now that your content is done, it’s time for the next important piece of your campaign: planning your timeline. Again, this is why I suggest planning backward. Consider when you’ll want to start building buzz and when you’ll need your sale to go live. If you build hype for too long, people might start to grow fatigued with your campaign. Need some inspiration? Check out Ful Candles. 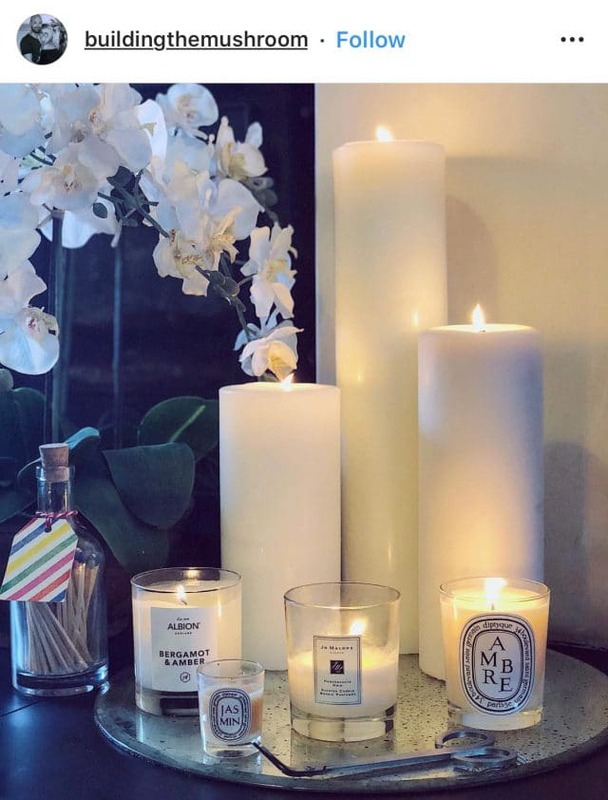 As a small batch soy candle company, Ful Candles knows it’s not just about the candles they sell. Laura, the owner, knows that any successful campaign is also dependent on how emotionally connected customers feel to her products. That’s why she uses her adorable dog, Toby, to help build visual consistency for the company’s campaigns. Whether Toby is lounging in his plaid dog bed or surrounded by seasonal props, people instantly recognize Ful Candles content in their feed. Therefore, her posts don’t feel overly salesy or disconnected from the brand’s feed aesthetic. Speaking of overselling, this is one of my biggest pieces of advice: Don’t try to sell your products in every single post. I know, it’s tempting to make every photo shoppable or talk constantly about your amazing sale. But let’s be honest, the best brands are able to meet their sales goals without being overly pushy or seeming desperate to meet their goals. This tactic is a huge turnoff. Consider a brand like Stella Valle. This jewelry brand is all about empowering women and inspiring community – something I think we can all agree is amazing! But rather than just trying to sell their beautiful necklaces and bracelets, this sister duo tells the visual story of their brand. It’s not just about the latest jewelry collection or sale, it’s about building the relationship with their clients. This is what allows them to build brand loyalty and make long-term relationships, not just one-time sales. BlaBla Kids does this too. As a brick and mortar store, this Atlanta-based children’s toy store uses the stories behind their artisanal wares to catch the eye of their customers. 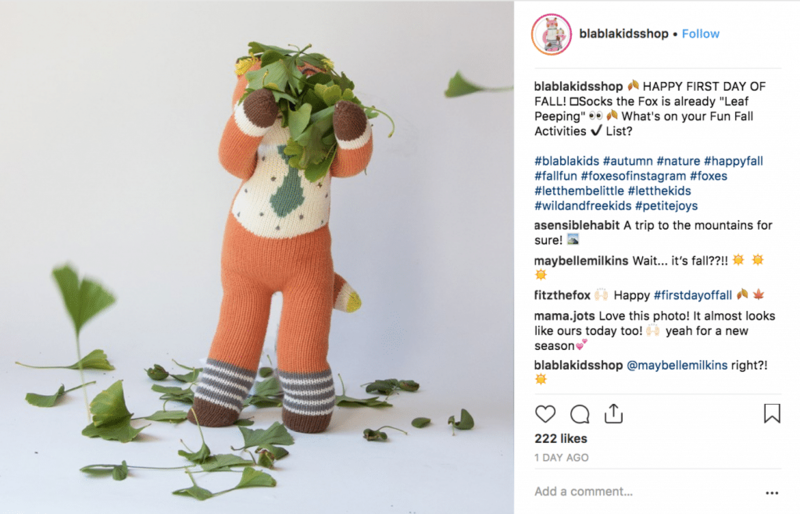 Whether it’s a child curled up with their favorite stuffed animal or a beautiful handmade mobile on display in a nursery, BlaBla Kids inspires their customers to want to learn more about their products. After the initial rush of the holiday season, shoppers inevitably become tired of the constant sales and chaos. That’s why it’s even more important that you take the time to think creatively about your content. Don’t just to try to copy what the larger companies and influencers are doing; consider what unique niche you fill. One company that fills their creative space particularly well is PopSockets. Check out this post from their Shark Week collection. 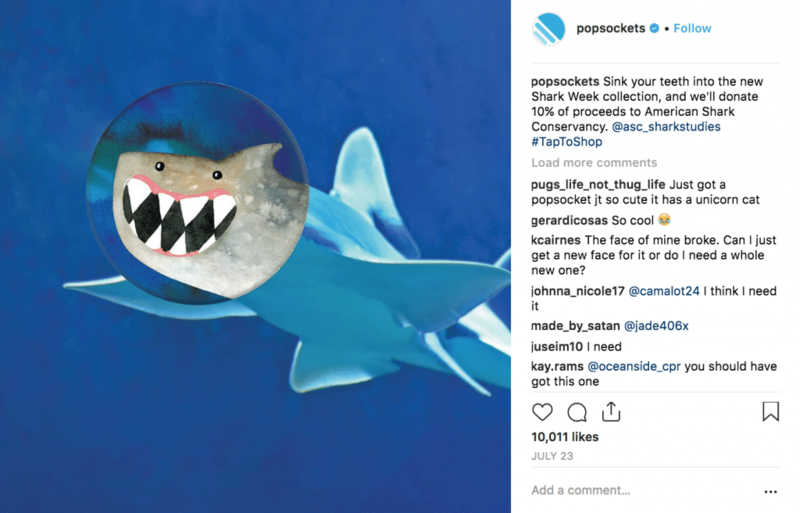 Not only is this photo really creative since it looks like a shark in the water, but it also gives customers an incentive to purchase with the promise of a 10 percent donation to a shark conservation charity. Ready to start selling on Instagram? Whether you’re adding Instagram sales into your marketing plan this year or you need help executing how to sell more, these steps will help you. Remember to start early and to create the visual appeal that you want your followers to come away with. You want your customers to feel good buying your produces and feel confident they are buying something unique. Drop a comment below letting me know what industry you’re in and how you’re going to prepare for selling on Instagram. 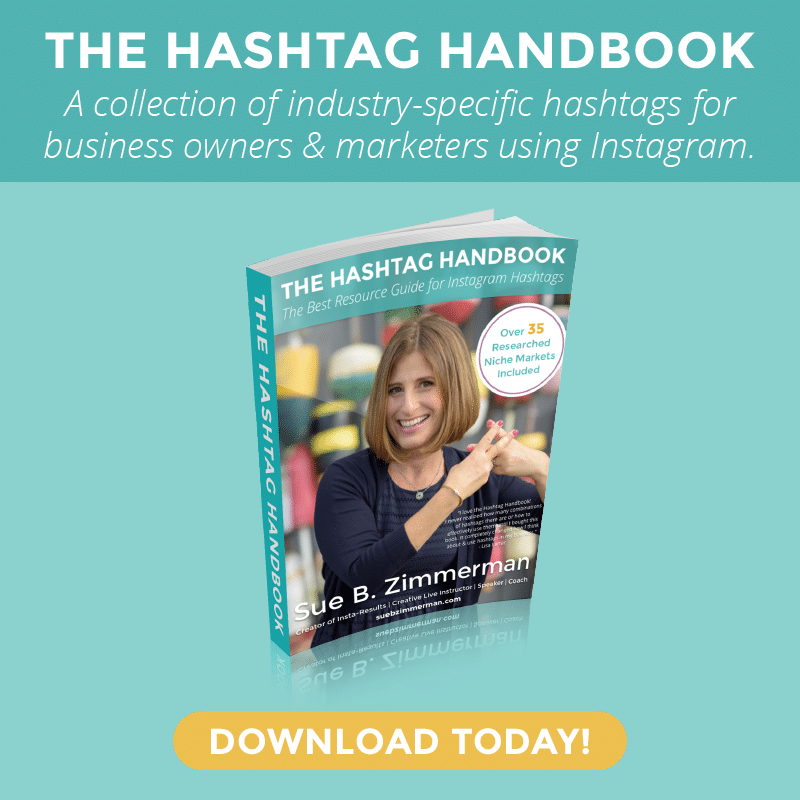 If you’re just getting started with the Instagram basics, then download my free Instagram Strategy Guide. It will help you with look more polished and professional as we get closer and closer to holiday time.